Midland Ancestors – Interested in Family History? Discover your Ancestors from Birmingham, Staffordshire, Warwickshire & Worcestershire. Find your Midland Ancestors today! Midland Ancestors is the public face of the BMSGH. We promote, maintain, and encourage the preservation of family history records which are transcribed and publicised. Would you like to know more about us? 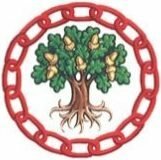 Midland Ancestors is the principal family history society for the counties of: Staffordshire, Warwickshire & Worcestershire which surround the city of Birmingham. This includes the areas of the old counties as they existed before the major boundary changes of the 19th and 20th centuries, as well as the areas brought into them by those changes. Click or tap on an area of the map to find out more. Join Midland Ancestors today and Support Us! Find a local group near you and get involved!